In the second part of our two-article series covering EPF withdrawal, we will see how to check your EPF claim status. After you’ve submitted your application for withdrawal from your EPF account, you’re probably anxious to know if your claim was approved. Thanks to the EPFO’s online tool to check EPF claim status, you can check your withdrawal status quickly and effortlessly. Earlier, after submitting a withdrawal claim form, you would have to make numerous trips to the EPFO to check your application’s status. Now, there is a simple online procedure that shows you your EPF claim status. Moreover, with the EPFO embracing digital technology with dedicated e-Sewa portals, the claim process has become much faster. Open Provide dent Fund account and get benefits. Do you have PPF account? Public Provident Fund is one of the best tax-exempted long-term saving schemes available today. It is necessary. Checking the status of your EPF withdrawal is a breeze. Before you check your EPF claim status, make sure you have your 12-digit EPF account number ready. Then, follow the steps below to get updated about your EPF claim status as soon as the change is made by the EPF office. On the EPFO’s ‘Know Your Claim Status’ (or KYCS) page, click on the text “Click here for knowing the Claim Status”. From the drop down list, select the EPF office state. On the next page, select your city-specific EPFO. That is, select the office that maintains your EPF account. Note – If you are not sure of the office that maintains your records, take a quick look at the first five characters of your EPF account number. The first two characters indicate the code for your state. The next three characters indicate the code for your regional office. Match it to the options available in the list and click on your EPF office. Next, enter your EPF account number. The first (maximum) 7 characters are the Establishment Code. The next (maximum) 3 characters are the Extension code. 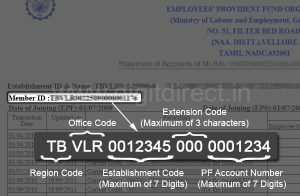 In case your EPF account number does not have the extension code, you can leave this box blank. The last (maximum) 7 characters are the Employee number. You will be able to see the real-time status of your EPF withdrawal application. If you submitted a claim for PF settlement, for example, it will show the same and whether it has been approved. At times, owing to unforeseen delays, you may not be able to see the present status. Wait for a few days and check again before you contact the EPFO Helpdesk. In addition to the EPF claim status check, EPFO offers various other online facilities. For example, in just a few clicks you can check your EPF balance and UAN activation status online. If this information has proved to be helpful to you, please share it with your friends and family members. 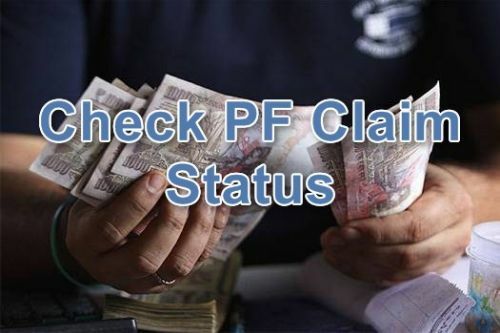 If you have any query or question regarding EPFO claim status, then please use the comment box below. Sir i have submitted my pf form on 15/9/2015. Bt pf not received till date.3 months completely in apply in my pf. So plz transfer my pf. we have submitted to pf from 20/12/2016 but pf amount not transfer in my account till dt, please do it fast i need this money i shall be very thankful to you. Sir I have submitted my pf form on 26/10/2016, but today is 14 jan. PF not recieve till date. I have submitted the pf withdrawal for 3 times but everytime it has been rejected saying name different. I have provided all documents supporting my name but still it is the same reply. i have submitted all documents regarding PF withdrawal two month back but still i am waiting for transfer my pf amount in my account. Kindly check the status and inform me asap. Send my epf detail on 9198232272 through sms.